We dared the Cosmo editors to wear something trendy, yet doable this week: animal prints! Cosmo.ph's editorial assistant Gianna Banzon demonstrates how an oversized leopard print cardi can spruce up your basic tank top-and-shorts combo. 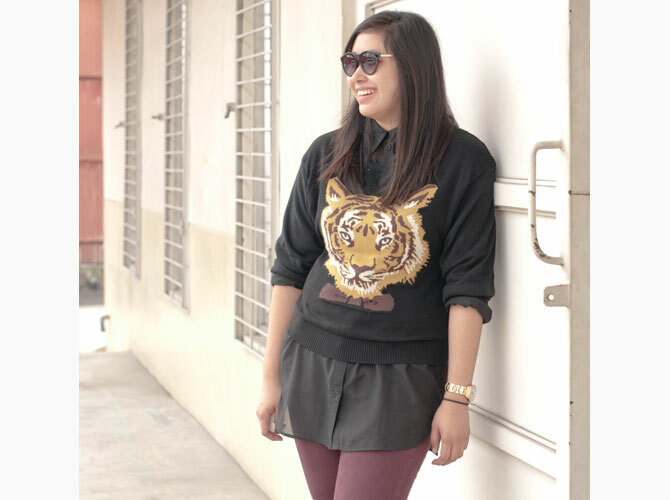 Cosmopolitan's Fashion Editor Happy Lopez goes for a tiger print sweater on top of her black button-down. Cute cats on a dress? Absolutely, says Cosmo.ph's Managing Editor Jillian Gatcheco. Not too keen on wearing a bold animal print? Cosmopolitan's Fashion Director Donna Cuna-Pita keeps it subtle by matching her white tee and rugged jeans with a colorful leopard clutch bag. Cosmo.ph's Assistant Fashion and Beauty Editor Sandra Pineda ties a printed scarf around her studded bag. Instant purse makeover! P.S. We're daring y'all to wear something trendy to work, too! Next week, wear anything PLAID, post a photo of yourself on Instagram, and tag @cosmopolitan_philippines. Don't forget to include #CosmoFashionFriday. We'll round up the best reader outfits in our upcoming Cosmo Fashion Friday galleries!